This month, we are paying extra attention to all of the artists and ideas that work towards bringing creatives together! There are so many of the participating artists who have started their owns books, zines, and collaborative studios, as well as those who have just reached out to say hello-- Way to go! 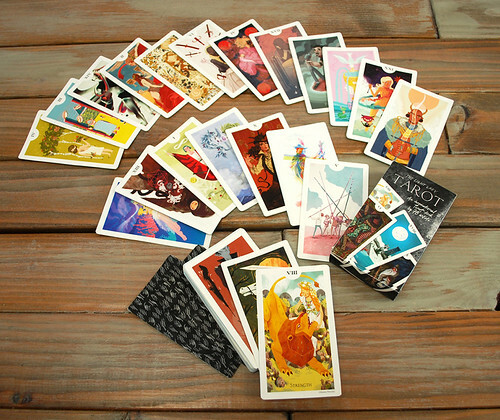 In the last week, we have received our final shipment of the Light Grey Tarot! We are extremely excited to see this project back in our hands, look though all of the gorgeous imagery, and practice some of our tarot reading skills! This was the first collaborative printed project by Light Grey Art Lab +78 artists from around the world. This project would not have been possible without the research, participation, and artwork of all of the illustrators, designers, and fine artists! This is a limited edition artist tarot deck, The Light Grey Tarot, filled with over-sized full color cards, a 32-pgae guidebook on how to read tarot, and a digital guide. Each artist was assigned a card at random (up to the fates) with the challenge to redesign and recreate the card and it's meaning. The result, was a collective deck filled with highly thoughtful, smart, and unique images. We would like to recognize all the artists who participated in this project as well as all of those who have continued to read and use the deck as their own! If you are interested in this project, have always wanted to learn to read tarot, or just curious about the symbolism, we are actually hosting a Moonlit Tarot Workshop this January at Light Grey Art Lab! 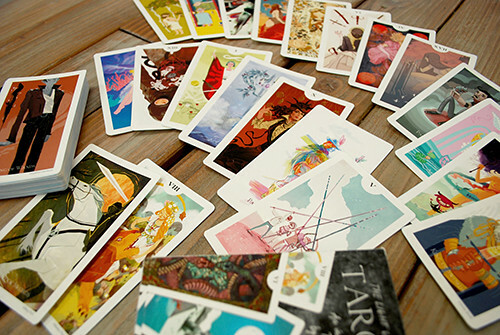 January 16th from 6pm-9pm we will be sharing behind the scenes in the creation of tarot imagery, how to do basic readings and tips for interpretation, and sharing insight into the connections between the cards. It will be a free, fun, and mystical evening! All are welcome to attend! To find out more information about the Light Grey Tarot or this project you can see the listing on the Light Grey Shop. There, you can see the tarot project along with several other Light Grey publications and the intimate and cultural images from the 6 Degrees Exhibition. You can also read more about the Light Grey Tarot and the project on the website here.